An all-over-body massage lotion specifically designed for pregnancy stretch marks. Enriched with Bio C-Elaste™, pure Cocoa and Shea Butters and Vitamin E. Bio C-Elaste™ is a powerful combination of Collagen, Elastin, Centella Asiatica, Sweet Almond Oil and Argan Oil. 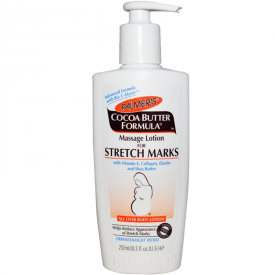 Palmer's Cocoa Butter Formula Massage Lotion for Stretch Marks has been proven to help improve skin's elasticity and moisture. 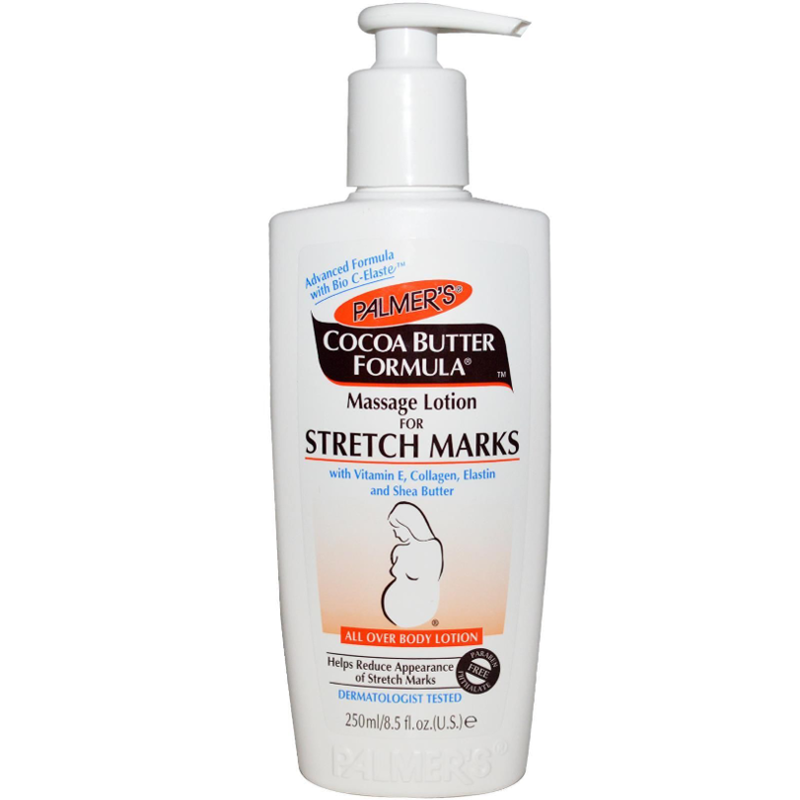 With regular use, Palmer's Cocoa Butter Formula Massage Lotion for Stretch Marks can help reduce the possibility of developing stretch marks. 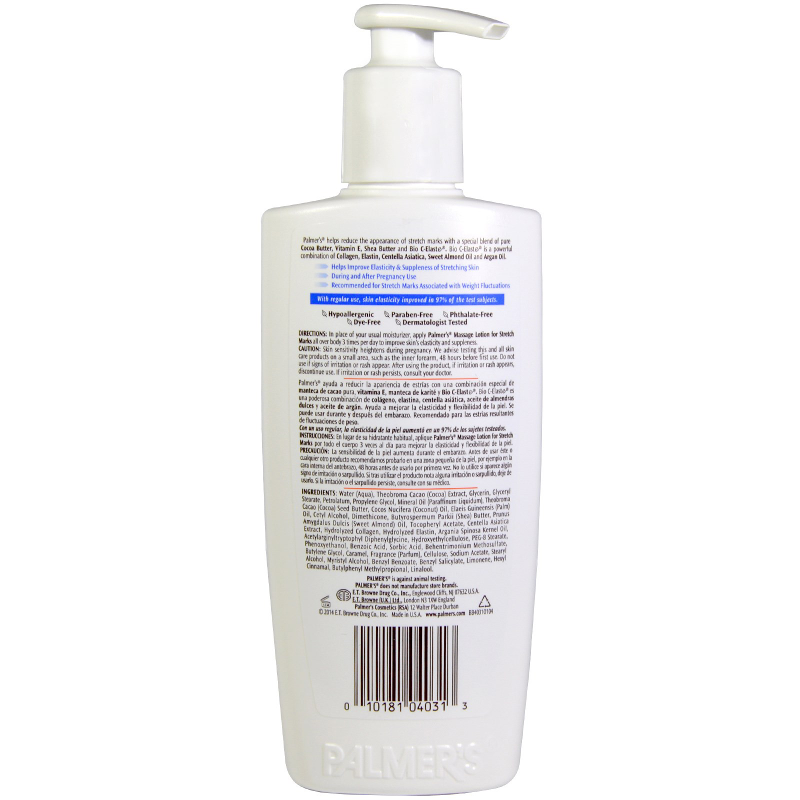 This non–greasy all-over-body lotion can also help relieve dryness and itchiness associated with stretched skin during pregnancy. Hypoallergenic. Paraben Free. Phthalate Free. Dermatologist Tested. 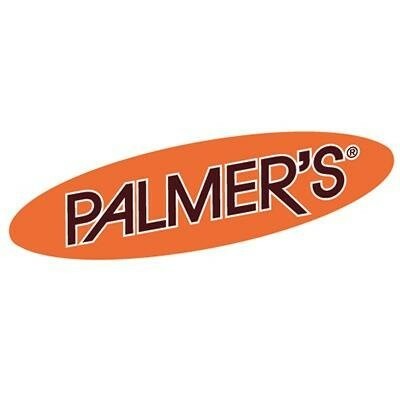 Use Palmer's Cocoa Butter Formula Massage Lotion for Stretch Marks in place of your regular moisturiser 3 times a day. For best results top up with intensive night-time treatment Tummy Butter For Stretch Marks or the Concentrated Massage Cream For Stretch Marks. Water (Aqua), Theobroma Cacao (Cocoa) Extract, Glycerin, Glyceryl Stearate, Petrolatum, Propylene Glycol, Mineral Oil (Paraffinum Liquidum), Theobroma Cacao (Cocoa) Seed Butter, Cocos Nucifera (Coconut) Oil, Elaeis Guineensis (Palm) Oil, Cetyl Alcohol, Fragrance (Parfum), Dimethicone, Butyrospermum Parkii (Shea) Butter, Prunus Amygdalus Dulcis (Sweet Almond) Oil, Tocopheryl Acetate, Centella Asiatica Extract, Hyrolyzed Collagen, Hydrolyzed Elastin, Argania Spinosa Kernel Oil, Acetylaringyltryptophyl Diphenylglycine, Carthamus Tinctorius (Saffower) Seed Oil, Hyrodroxyethylcelloulose, PEG-8 Stearate, Phenoxyethanol, Benzoic Acid, Sorbic Acid, Behentrimonium Methosulfate, Butylene Glycol, Carmel, Benzyl Benzoate, Benzyl Cinnamate, Benzyl Salicylate, d-Limonene, Hexyl Cinnamic Aldehyde, Hydroxycitronellal, Butylphenyl Methylpropional, Linalool. It does not help anything with the stretch marks. Not effective. It is just a nice smelling body lotion an for that it is overpriced. Had absolutely no effect on my stretch marks, ante and post natal. I bought this after developing stretch marks in late pregnancy. It has the usual cocoa butter scent, which is nice and it applies very easily and absorbs well. However, it did nothing to reduce the appearance of the stretch marks.